“I started paddling when I turned 10 and it’s truly the best thing that has happened to me so far. When I first started I was scared by the smallest ripple and now I’m paddling class 4 confidently. and a special grant from the Sarah Hartman Fund for Paddlesports Education from IPC. We look forward to Paige’s becoming an expert instructor as soon as she turns 18. We are starting a new tradition in our newsletter – let us know about a special paddler we can feature in our next issue. 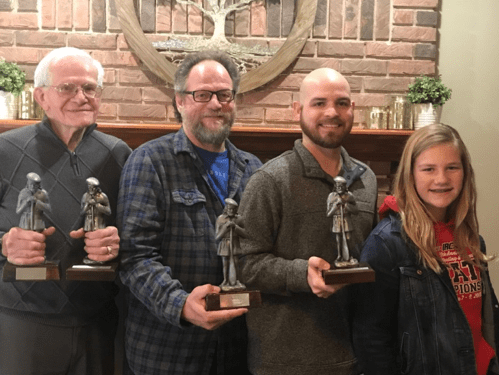 Sponsored again by the: Forest Preserves of Cook County– Feel Free! 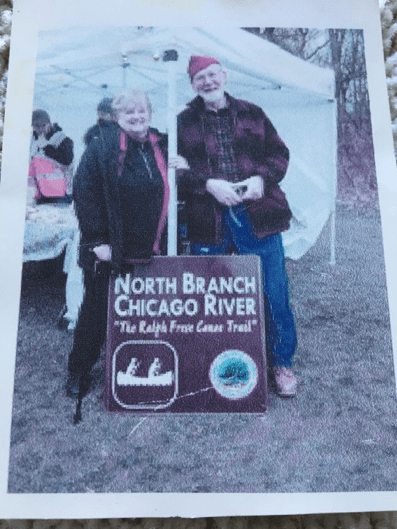 Bring your canoe or kayak and celebrate the legacy of canoe legend Ralph Frese by paddling the Ralph Frese Canoe Trail – the North Branch of the Chicago River from Willow Road Dam to Linne Woods in Morton Grove. (If the river is in flood – the trip will be north on the Skokie Lagoons). All races have classes for canoes and kayaks. And the events are NOT only for the pros. Most participants paddle just for the fun of it. We are working to establish an easier process to get your articles and other news published in the IPC electronic newsletter. Here is how it will work: go to http://www.illinoispaddling.info/newsletter-2/submit-newsletter-content/ to submit an article. Clicking on this link will launch a page with an editor similar to MS Word. There are options to add media or upload pictures, as well as format text. Watch for further announcement on when this new system will be live and the newsletter release dates. How would you like to paddle with over 700 other paddlers in canoes, kayaks, and stand-up’s? How would you like to be part of a tradition that has gone on 62 years? How would you like to be the one to break 2 hours for the long race? 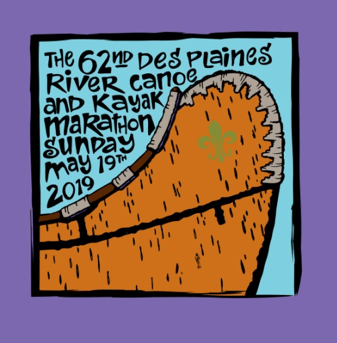 The Des Plaines River Canoe and Kayak (and SUP) Marathon has something for everyone. It is a race with the neatest 1st place trophy in each of the 20+ classes. Some of the best paddlers in the country have raced this race over the years. It can be a place to trade “war” stories at the finish line. And you get a good looking patch when you finish. And Ralph? Who is Ralph and is he lost? Try it – you’ll like it and tell me about your adventure at the finish line on race day. Illinois has more miles of river to paddle than any other state. Have you paddled these rivers? Match the River with the correct definition. Don’s Answers Will be published in the next newsletter. Canoemobile engages people in introductory outdoor experiences, enhances learning opportunities, cultivates a stewardship ethic, and creates pathways to pursue educational and career opportunities in the outdoors. We are thrilled to connect with your community! Interested in volunteering? We’ll be working with school and youth groups all week; email canoemobile@wildernessinquiry.org for more information. IDNR’S Coastal Management Program in collaboration with Wilderness Inquiry held three paddling programs this summer, giving the general public an opportunity to experience paddling in voyageur style canoes. The last event was held at Waukegan Harbor, which also inaugurated a new, ADA compliant, canoe and kayak launch. Thank you to our Explore the Lake Michigan Water Trail Partners! With the event series complete, we will begin a series of public meetings to gather community input as part of a visioning process for the approximately 10-mile stretch of the Lake Michigan water trail from the City of North Chicago to the Wisconsin border. For more information about the upcoming planning process, visit: https://paddleillinoiswatertrails.org/events. I just became aware of a great tool for those of us who lead river trips. Like most people, I have been looking at the USGS Streamflow data and the weather forecast and trying to guess what is going to happen with the river level. It turns out that NOAA has a computer model that considers several relevant factors and makes a prediction, going several days out. This is going to be a useful tool for anyone who has to make a go / no-go decision due to concern about high water.